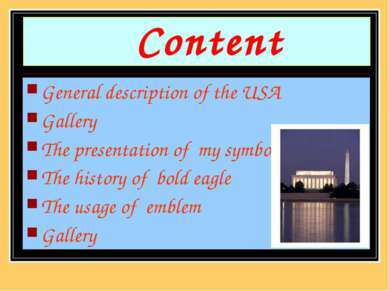 General description of the USA The USA is the richest and one of the most developed countries in the world .The territory of the USA is almost 9.400.000 square kilometers . It is washed by the Atlantic Ocean in the east , the Pacific Ocean in the west and the Artic Ocean in the north . 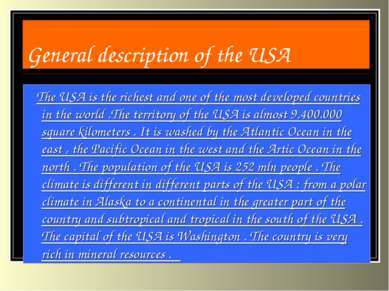 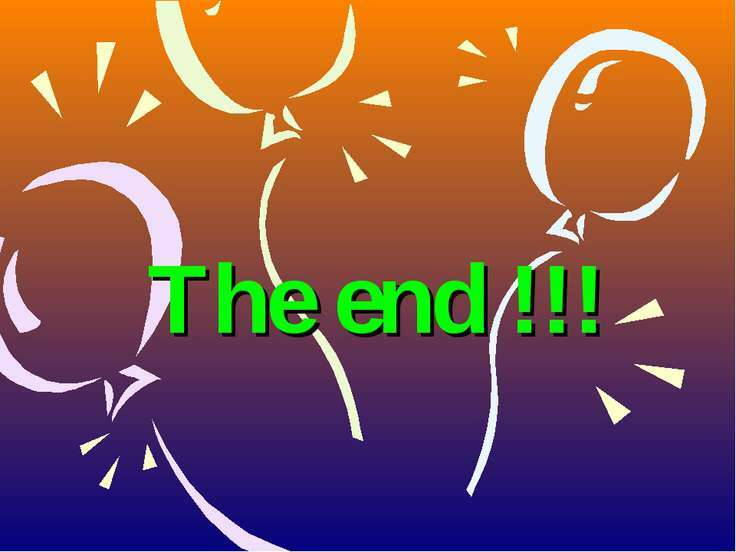 The population of the USA is 252 mln people . 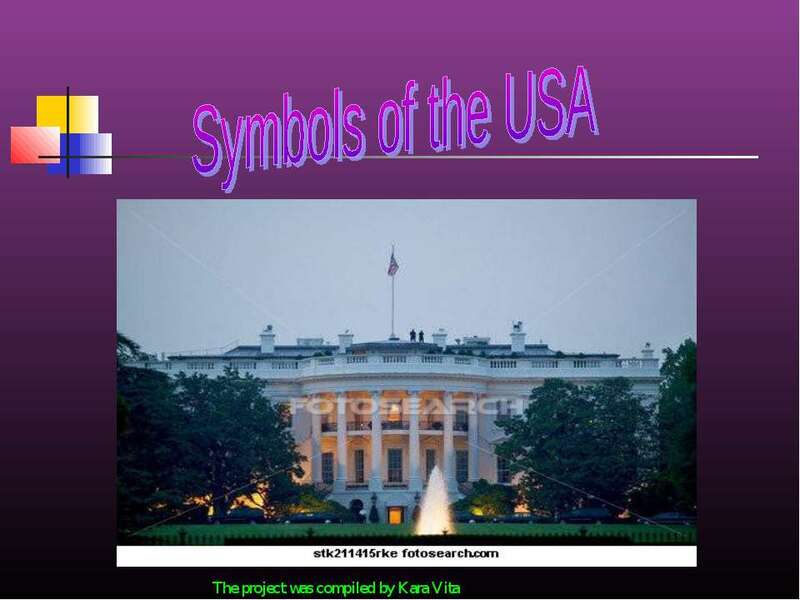 The climate is different in different parts of the USA : from a polar climate in Alaska to a continental in the greater part of the country and subtropical and tropical in the south of the USA . 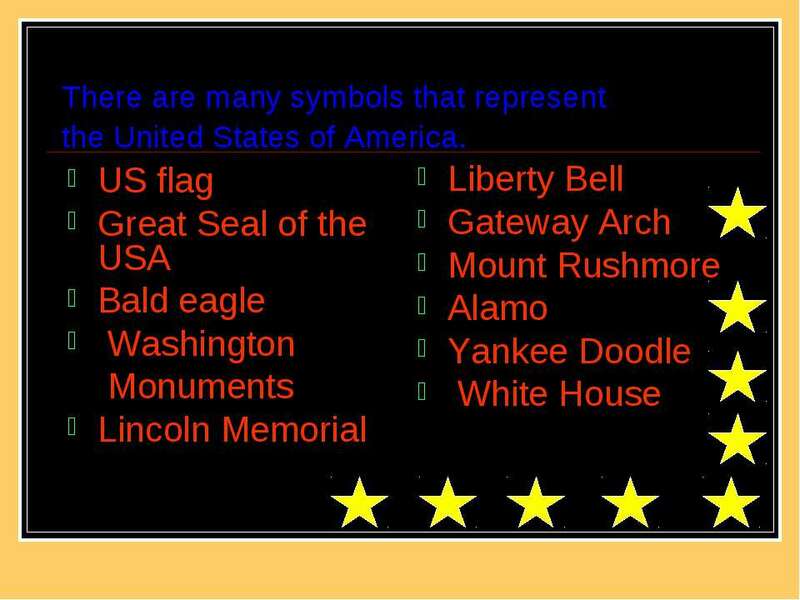 The capital of the USA is Washington . 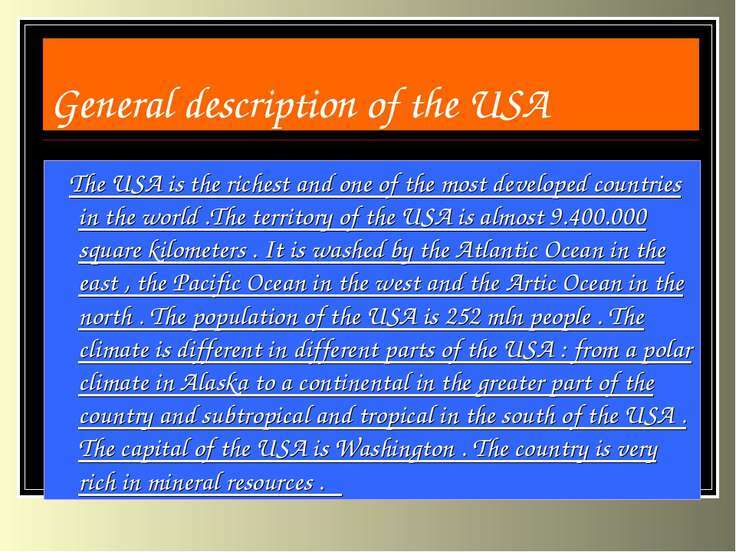 The country is very rich in mineral resources . 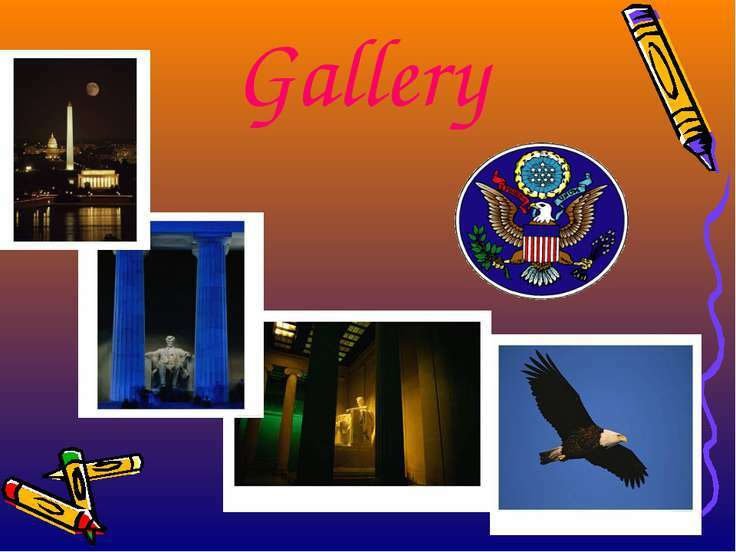 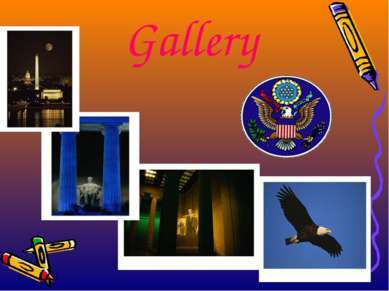 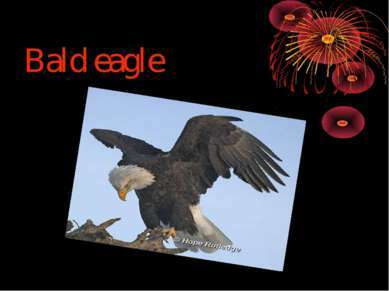 The history of bald eagle The bald eagle was made the national bird of the United States in 1782 . 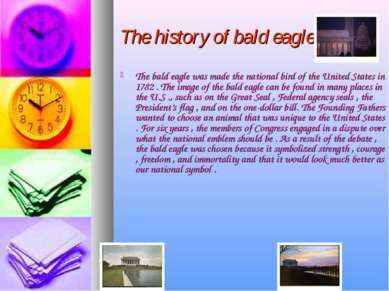 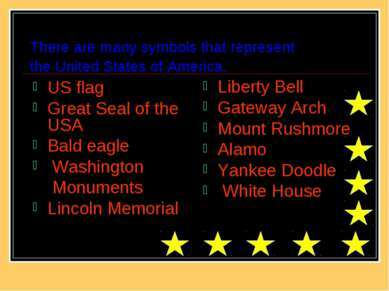 The image of the bald eagle can be found in many places in the U.S ., such as on the Great Seal , Federal agency seals , the President’s flag , and on the one-dollar bill. 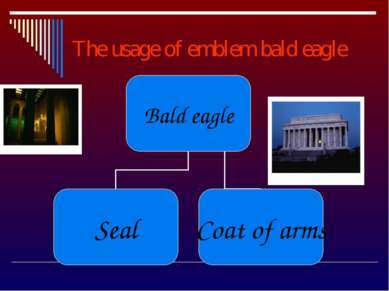 The Founding Fathers wanted to choose an animal that was unique to the United States . 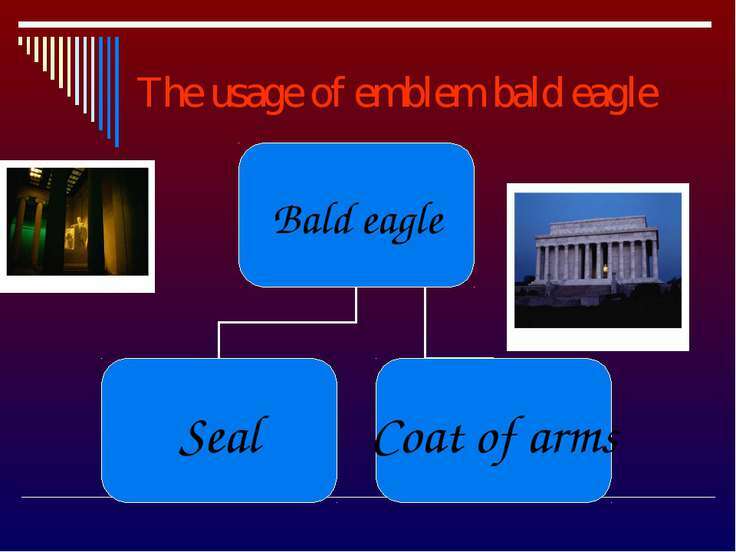 For six years , the members of Congress engaged in a dispute over what the national emblem should be . 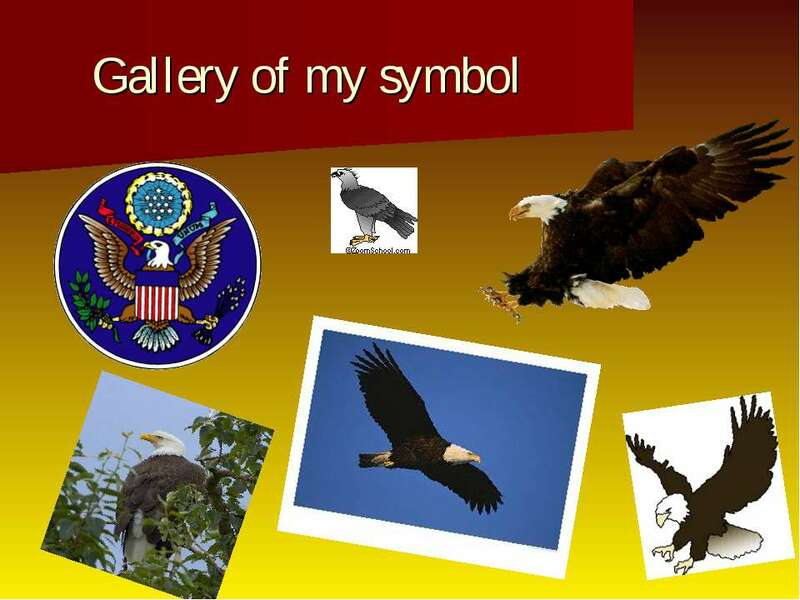 As a result of the debate , the bald eagle was chosen because it symbolized strength , courage , freedom , and immortality and that it would look much better as our national symbol .